When it comes to laundry, I think we can all agree that it isn’t the most thrilling of tasks. And in the wake of the summer sunshine it can be a rather hot and sweaty task at that. So to make matters easier for you we thought we would share some of the best tips and tricks we have encountered in our 30 years of experience selling and repairing all your domestic appliances, just to make it that little bit easier for you. 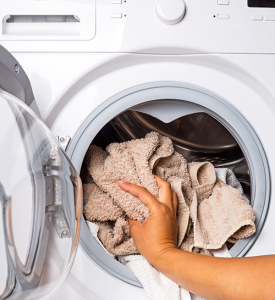 This one might sound like a no-brainer but not overloading your washing machine can save you time and money in so many ways. Besides not washing your clothes properly and having to re-wash certain items, overloading can put strain on the machine’s bearings and trust us on this – your bearings going is an expensive business! 2. 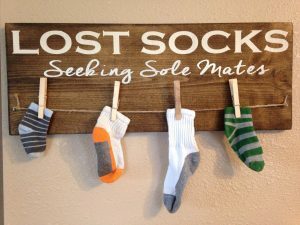 Put a STOP to the Lost Sock Phenomena… Finally! Get your hands on some mesh laundry bags and put your socks inside them before putting them in the washing machine. This will save you many head scratching hours of ‘Where on earth could it be?’ moments not to mention the ease at which you will now unpack your socks from the wash. 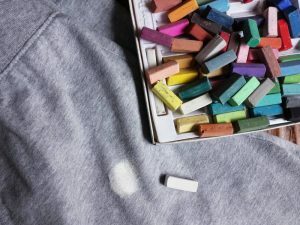 Grease stains can be made much less of a hassle by borrowing some of the kids chalk and giving the stain a good rub before putting it in the washing machine. The chalk helps to absorb the grease stain making your life just that little bit easier. Before washing your new colourful clothes for the season with your general washing, run your summer brights through a cold wash first. 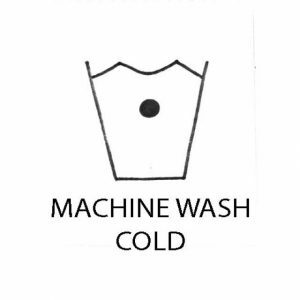 This will help draw out any excess dye and will help to prevent any running on your other washing. And when it gets to the winter, cold washes are great for your woollens too along with saving energy! 5. It DOES Matter if you’re Black or White… but only if you’re a washing machine. Fight the time consuming pain of separating your lights, darks, delicates and others at its conception! Invest in a 2 or 3 part washing basket so the whole family can shoulder the burden. If you hadn’t heard of this great idea before then… you’re welcome. Have two different detergents. One should be liquid – for your colours, and one should be a powder – for your white’s. The reason for this is that most powders for whites will have a bleaching agent in it whereas liquids do not. It’s all in the mix. When drying towels in the tumble dryer add a dry towel in with the mix, this will speed up the process for all of the towels. This one is a life changer. Excellent Service & Prices. Would highly recommend to anybody.